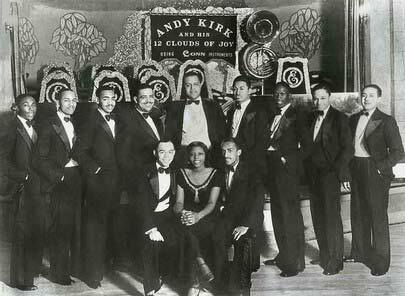 Andy Kirk and the Clouds of Joy became the second all black band to achieve national recognition, following the infamous Bennie Moten Band, from the ‘Paris of the Plains,’ otherwise know as Kansas City. 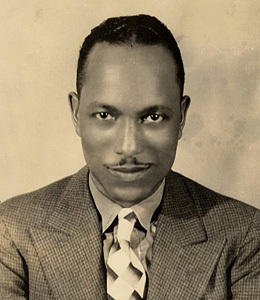 Andy Kirk’s well-rounded charismatic attitude shaped his path to becoming one of the most successful black bandleaders for his time. The Clouds of Joy only lasted through the 40’s but Andy Kirk’s successful leadership skills allowed the Clouds of Joy to sell over a millions messages across the country. Andy Kirk was born in the rough streets of Newport, Kentucky on May 28th, 1898. At the Age of three his mother died. Soon after his father abandoned him and he was forced to move to Denver and live with his relatives. These early scars in his life created the skin he need to become a successful bandleader. In denver he learned to sing and play piano after school, but in 1917 he found his true passion after he bought his first tenor saxophone. In only a year 1918, he began playing with the George Morrison Orchestra. The George Morrison Orchestra was based in Denver, but later on branched out to the Kansas City territories. This well-rounded band played, classical pop and and Spiritual Music. Andy blew the cold hard brass of the tuba and saxophone. Years went by before Andy felt it was time to leave the band in hopes of finding a new sound. So in 1925 he Joined Terence Holders Black Clouds of Joy. The band worked steadily into the years of the late twenties. Holder was a hustler, and from a business standpoint they didn’t want to jeopardize the band because their band leader was distracted. In order to keep the band going Kirk agreed, as the senior member and the one most responsible to become its leader in January 1929. Not liking the the racial innuendo Andy Kirk changed the name to the Clouds of Joy. The Clouds of Joy was the second black band to achieve national recognition after Bennie Moten’s Band. 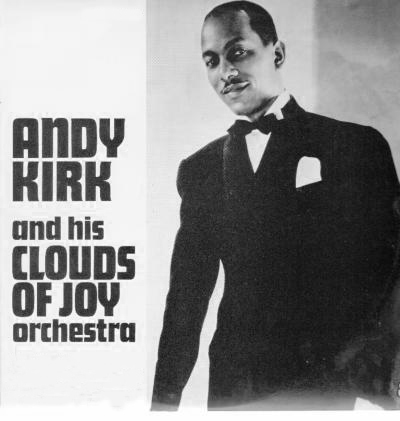 Clouds of Joy only lasted through the 40’s but Andy Kirk’s successful leadership skills allowed the Clouds of Joy to sell over millions of records across the country. They played from state to state, and city to city creating some of most well structured, swinging songs of their time. Some say, The Clouds Of Joy would have never been as successful if it were not for Andy Kirk. 1.Library , UMKC . “Musicians Local 627.” Musicians Local 627. http://library.umkc.edu/spec-col/local627/text/territorial/morrison.htm (accessed April 22, 2014). 2.Lee, Amy. “Club Kaycee — Kansas City Jazz History — Kirk, Andy.” Club Kaycee — Kansas City Jazz History — Kirk, Andy. http://library.umkc.edu/spec-col/club-kaycee/JAZZFOLK/kirka_00.htm (accessed April 22, 2014). 3. Library , UMKC . 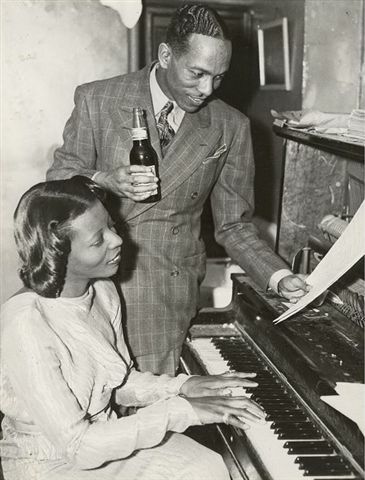 “Musical Kansas City: Andy Kirk and Mary Lou Williams.” Musical Kansas City: Andy Kirk and Mary Lou Williams. http://library.umkc.edu/spec-col/parisoftheplains/webexhibit/musical/mus-07.htm (accessed April 22, 2014). 4. Andy Kirk, “Red Hot Jazz.” Musical Kansas City: Andy Kirk and his Clouds of Joy. http://www.redhotjazz.com/cloudsofjoy.html (accessed April 22, 2014).